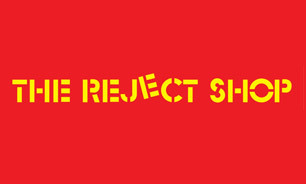 The Reject Shop is Australia’s favourite discount variety store. We serve a broad range of value-conscious consumers who are attracted to low price points, convenient shopping locations and the opportunity to purchase a bargain. We offer a wide variety of general consumer merchandise, with particular focus on: everyday needs – such as toiletries, cosmetics, homewares, personal care products, hardware, basic furniture, household cleaning products, kitchenware, confectionery and snack food; and also a huge range of lifestyle and seasonal merchandise – such as seasonal gifts, cards and wrapping, toys, leisure items and home decorations. With new stock arriving all the time there’s always something different to see and buy.